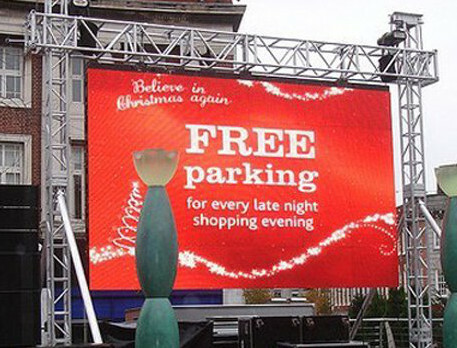 Outdoor LED electronic displays - electronic signs are more in demand, to meet notification and advertisement demands than ever before. Since the invention of the LEDs, outdoor signs have grown into a huge advertisement and notification medium for commercial businesses. LED BILLBOARDS: so-called GRAPHIC LED SIGNS, LARGE LED DISPLAY, NOVELTY BILLBOARDS, led clock, scrolling billboards, led outdoor sign, large led display, led mobile, show displays, led message sign, electronic led sign, led signboard, graphic advertising, led scoreboard, billboard advertising, billboards companies, led graphics, graphic display, large led clocks, led screen,etc.